Treating a cancerous tumor is a lot like watering a houseplant with a fire hose. Too much water will kill the plant. Similarly, too much chemotherapy and radiation will kill the patient before it kills the tumor. However, if the patient's gastrointestinal tract remains healthy and functioning, the patient's chances of survival increase exponentially, explains Jian-Guo Geng, associate professor at the University of Michigan School of Dentistry. Recently, Geng and his team discovered a biological mechanism that preserves the gastrointestinal tracts in mice who were delivered lethal doses of chemotherapy. The findings, which will appear in the journal Nature, could revolutionize cancer therapy, Geng said. "It's our belief that this could eventually cure later-staged metastasized cancer. People will not die from cancer, if our prediction is true. All tumors from different tissues and organs can be killed by high doses of chemotherapy and radiation, but the current challenge for treating the later-staged metastasized cancer is that you actually kill the patient before you kill the tumor. Now you have a way to make a patient tolerate to lethal doses of chemotherapy and radiotherapy. In this way, the later-staged, metastasized cancer can be eradicated by increased doses of chemotherapy and radiation. "said Geng, who emphasized that the findings had not yet been proven in humans. Geng's lab found that when certain proteins bind with a specific molecule on intestinal stem cells, it revs intestinal stem cells into overdrive for intestinal regeneration and repair. 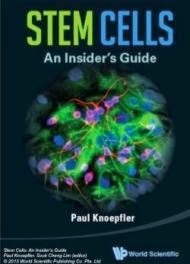 Stem cells naturally heal damaged organs and tissues, but so-called "normal" amounts of stem cells in the intestine simply cannot keep up with the wreckage left behind by the lethal doses of chemotherapy and radiation required to successfully treat late-stage tumors. However, the phalanx of extra stem cells protect the intestine and gastrointestinal tract, which means the patient can ingest nutrients, the body can perform other critical functions and the bacterial toxins in the intestine are prevented from entering the blood circulation, Geng said. These factors could give the patient just enough of an extra edge to survive the stronger doses of chemotherapy and radiation, until the tumor or tumors are eradicated. "If you can keep the gut going, you can keep the patient going longer. Now we have found a way to protect the intestine. The next step is to aim for a 100-percent survival rate in mice who are injected with the molecules and receive lethal doses of chemotherapy and radiation." said Geng. Geng's lab has worked with these molecules, called R-spondin1 and Slit2, for more than a decade. 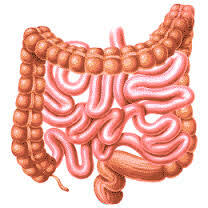 These molecules repair tissue in combination with intestinal stem cells residing in the adult intestine.